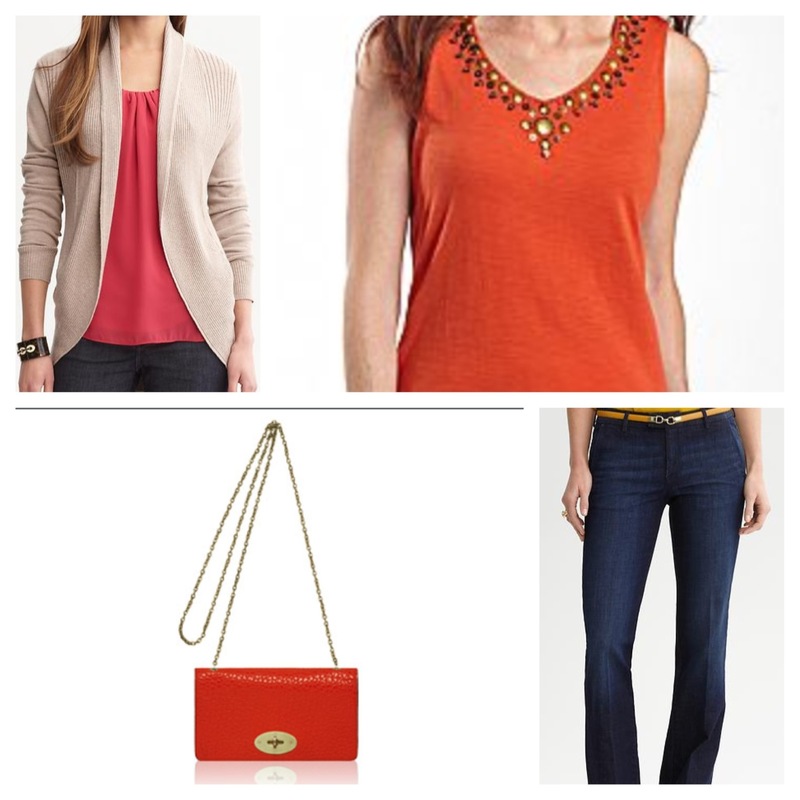 Clockwise: sweater from Banana Republic, top from St Johns Bay, jeans from Banana Republic, bag by Mulberry. Fall is a great time of year for hijabis because we can actually add layers to add coverage to our outfits without adding too much bulk. I used to HATE orange as an outfit color (just ask my Rahnuma Bhabi), but these recent fall pieces have me singing a different tune. Pairing brights such as hot pink and orange with rich toned pieces in camel or brown gives your outfits depth and a luxe feel. Some pairing to try are: yellow with mocha, camel with fire engine red, ecru with cobalt, and the combo of orange with oatmeal. Are there brights you are scared to wear? Try these tips and tell me what you think!